Village Books and the Willows Inn on Lummi Island present a one day/one night getaway at the Inn with best-selling Northwest author, Jim Lynch. Have a chance to meet Jim personally, hear about his newest book, Truth Like the Sun, and pick his brain for some of his favorite titles. You also will join Jim for a specially-prepared dinner by their internationally-experienced Willows Inn sous-chef at the seaside Beach Store Cafe. The next day you will enjoy breakfast at the Inn, and you'll receive a $25 gift certificate for lunch at the Beach Store Cafe. This all-inclusive, one day/one night package includes a room with the Willows Inn, dinner, breakfast and lunch, a copy of Jim Lynch's newest book, Truth Like the Sun, and beverage, tax, and gratuity. To make a reservation, call 360.758.2620. For pricing information, visit The Willows Inn weblisting. Don't want to stay the night? Join us for the evening for only $150. About Jim Lynch and Truth Like the Sun: Truth Like the Sun is a hugely entertaining political novel of urban intrigue set both in 1962, when Seattle hosted the World's Fair, and in 2001 after its transformation in the Microsoft Gold Rush. Janet Maslin, writing in the New York Times, said this: "Enveloping and propulsive...There is much marveling to be done as Truth Like the Sun unfolds. Lynch captures the excitement of a fair that proudly showed off the world of tomorrow, but inadvertently revealed more than it should have." Jim Lynch grew up in the Seattle area and graduated from the University of Washington before bouncing around the country as a reporter for newspapers in Alaska, Virginia and for columnist Jack Anderson in Washington, DC. Returning to the Northwest, he wrote for the Spokane Spokesman-Review, the Portland Oregonian and the Seattle Times. His national honors along the way included the George Polk Award, the H.L. Mencken Award and Livingston Young Journalist Award for National Reporting. His novel, Border Songs, won the Washington State Book Award and is currently being adapted for television. He now lives in Olympia, Washington with his wife, Denise, and daughter, Grace. The readings will be followed by a brief Q&A and the authors will be available to sign books in the lobby afterward. Books will be available for sale on site. From urban underbellies to Big Sky dreaming, writers have always sought to capture the true essence of the Northwest. Olympia writer Jim Lynch dives into Seattle’s sordid past with his latest novel, Truth Like the Sun. A tenacious newspaper reporter sets out to unmask corrupt local politics and gets swept up in a story that goes all the way back to the famous (and infamous) 1962 World’s Fair. Joe Wilkins chooses farmland over skyscrapers in his memoir, The Mountains and the Fathers. Set in the drought-afflicted area of northern Montana known as the Big Dry, his stories reexamine masculinity and the American mythos of the West, all while set in a land that “chews up young and old alike.” Both authors take us on a journey through the Northwest with humor and heart, through familiar landscapes that local readers will particularly appreciate. Humanities Washington's popular event "Bedtime Stories" returns for the Get Lit! Festival. The original event becomes an intimate conversation between the audience and a group of acclaimed local and regional writers. Kim Barnes, professor at the University of Idaho and author of In the kingdom of men, will read and answer questions with Shann Ray, author of American Masculine and professor of leadership studies at Gonzaga University. Spokane poet Nance Van Winckel will then team up with acclaimed Northwest writer and author of Truth Like the Sun, Jim Lynch. All writers will read original work inspired by the event's theme, "Red Eye." There will be a short break between author pairings. Moderated by Andrea Reid, co-director of the Hagan Foundation Center for the Humanities at SCC. Join us for a reading group discussion of Truth Like the Sun by Jim Lynch! Jim Lynch's Truth Like the Sun is a classic and hugely entertaining political novel, the cat-and-mouse story of urban intrigue in Seattle both in 1962, when Seattle hosted the World's Fair, and in 2001, after its transformation in the Microsoft gold rush. Note: The author will be speaking earlier in the month, March 7. See our calendar for details. Two wonderful authors join us for the paperback releases of their critically-acclaimed books! Reading groups are especially encouraged to attend this discussion and book signing. Jim Lynch, author of Border Songs, returns with Truth Like the Sun, a classic and hugely entertaining political novel, the cat-and-mouse story of urban intrigue in Seattle both in 1962, when Seattle hosted the World's Fair, and in 2001, after its transformation in the Microsoft gold rush. Alex George brings us A good American, a "Best Book of the Year" for both Library Journal and Bookpage and the story of the Meisenheimer family, told by James, a third-generation American living in Missouri; but above all, it is about the music in Frederick's heart, a song that began as an aria, was jazzed by ragtime, and became an anthem of love for his adopted country that the family still hears to this day. The Whatcom Community College Foundation is partnering with Village Books for a special program with popular Northwest author Jim Lynch in our Readings Gallery. Lynch, whose latest book, Truth Like the Sun, will have just been released in paperback, will be interviewed by Bob Winters, Arts and Humanities Division Chair at Whatcom Community College. There will be refreshments at this free event courtesy of the Foundation. Truth Like the Sun is a hugely entertaining political novel of urban intrigue set both in 1962, when Seattle hosted the World's Fair, and in 2001 after its transformation in the Microsoft Gold Rush. Janet Maslin, writing in the New York Times, said this: "Enveloping and propulsive...There is much marveling to be done as Truth Like the Sun unfolds. Lynch captures the excitement of a fair that proudly showed off the world of tomorrow, but inadvertently revealed more than it should have." Jim Lynch has received the H. L. Mencken Award and a Livingston Award for Young Journalists, among other national honors. 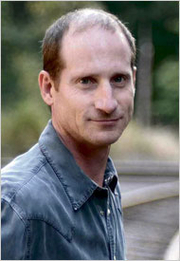 His novel, Border Songs, won the Washington State Book Award and is currently being adapted for television. We are thrilled to be hosting local (Olympia) bestselling author of The Highest Tide in honor of the paperback release of his newest Seattle-set blockbuster, Truth Like the Sun. If you haven’t read local treasure Jim Lynch's terrific foray into noir, now’s your chance! It’s a classic and hugely entertaining political novel, the cat-and-mouse story of urban intrigue in Seattle both in 1962, when Seattle hosted the World's Fair, and in 2001, after its transformation in the Microsoft gold rush. Bonus: this is our book club book for February, so book club will be meeting at the event. Reservations are now being accepted online only with a credit card. The Tattered Cover is delighted to welcome four esteemed authors for our annual Writers Respond to Readers event. This full day event brings writers and readers, and book club members, together in an intimate setting to talk about books and writing. Wiley Cash is the author of the critically acclaimed debut novel A Land More Kind than Home. Jim Lynch is a journalist and author of several bestselling books and novels. His newest novel is Truth Like the Sun. Richard Mason is an award winning author whose works include The Drowning People and History of a Pleasure Seeker. Our book group pick for this month is Border Songs by Jim Lynch. July 7th at 5:00 PM Jim Lynch gives a presentation on Truth Like the Sun. Lynch showed he has the magic with his brilliant first book, The Highest Tide, a heartwarming coming of age story about a boy most at home on the water in his kayak. His second book, Border Songs, about a rather unusual border patrol agent tackled timely issues about the changing nature of community and borders. I enjoyed them both and highly recommend them. And now Jim Lynch has given us something truly wonderful; Truth Like the Sun is magnificent. Seattle is one of the world’s most beautiful cities and Truth Like the Sun reads like a love song to the spectacular, jaw dropping beauty, the vitality, the over the top outrageous glory of the place. The 1962 World’s Fair put the spotlight on Seattle, a city so overwhelmed by staggering natural beauty it dazzles no matter which direction you look. Roger is in love with this glorious city, the World’s Fair is his creation. He hangs out with Elvis, greets Prince Phillip, and chats up LBJ. Roger is an idea man, a promoter, bursting with dreams for his city and the energy to make them real. Fast forward to 2001 and Roger is still in love with his city, but he knows it could be so much more! He is tired of being behind the scenes, being the power behind the throne; he steps out front and center in a run for mayor. Helen was hired by the Seattle PI, the Pulitzer fuels her daydreams. Taking down charismatic Roger just might be her ticket to the big time. You cannot stay active in city politics and back room deals for forty years and stay clean. Roger’s closets have to house a few skeletons and Helen intends to find them, in whatever sorry form available. Lynch has written this entertaining and thought provoking book like a celebration of a city. Seattle truly is that beautiful with white capped mountains in every direction you look, lots of blue water that sparkles like a million diamonds in the sun, and generously lush green gardens that bloom in a riot of color come spring. Roger is a pretty cool guy, hang out with him at the fair for a while and revisit the past, it is closer than you think. Bookslut Book Review: "The Highest Tide"
Jim Lynch is currently considered a "single author." If one or more works are by a distinct, homonymous authors, go ahead and split the author. Jim Lynch is composed of 2 names. You can examine and separate out names.